What can an egress compliant window do for your home? 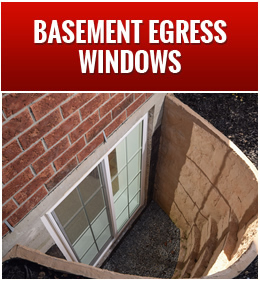 A basement egress compliant window acts as an emergency exit path out of the basement in the event of a fire. If you found yourself in the situation where your home was on fire, would you be able to exit your home, or your basement, in 10 seconds or less? 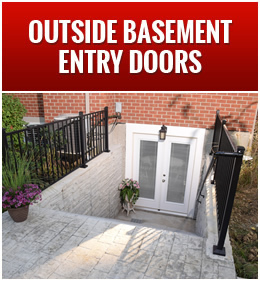 Basement Egress windows are easy to open and are designed to be large enough for fire rescue crews and equipment to enter the basement living space, and for your family to exit the home with ease to safety. Transform your basement into an area that brings warmth and energy into your home. 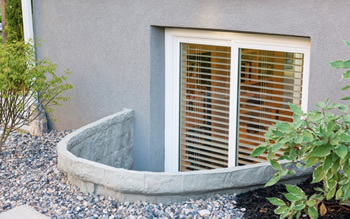 Installing an egress compliant window in your basement enables natural light to shine through, as well as adequate ventilation for fresh air. Natural light reduces your energy costs and research has shown that natural lighting increases productivity and happiness, creating an alluring ambience for your living area! You can add value to your home simply by adding an extra bedroom, without the high cost of an addition. In order for a room in your basement to be considered habitable space, it is required that you have an egress compliant window and window well. This can add tremendous value to your home with the possibility for an extra bedroom, home office, exercise room, play room for the kids, or even a rental unit. The possibilities are endless. 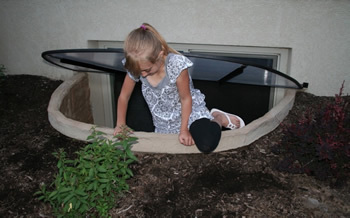 The International Residential Code requires that that an egress compliant window be installed in your lower level, in order for it to be considered a habitable space. Ensuring that your house meets the building code requirements, allows your home to provide the safety you and your family deserve. The natural light a basement egress window can allow into the lower level of your home reduces your overall energy costs. The extra heating, air conditioning, and artificial lighting that you will be slashing from your energy bill can be huge. When compared to constructing an addition onto your house, installing an egress compliant window is considerably less expensive. By adding an extra room in your basement you may also be able to increase your overall home value, creating a more lucrative investment into the equity of your home. "They were a bit backed up but communicated well about the delay in starting. The work was completed quickly and well. My yard was not damaged at all, all dirt hauled away, and the window makes an enormous difference in livability as well as safety. They immediately repaired a chipped cinder block when I pointed it out. I wish I had known that there would be no trim, just bare window frame with spray foam around it. All the pictures they show you are of beautifully finished windows. I'll hire a handy man to finish it - that wasn't in the estimate and I should not have expected it. I'm extremely happy and will probably have them put a second one in. Of note, we have had TORRENTIAL rains since the window was done and not a drop has come through it. The well drains well."